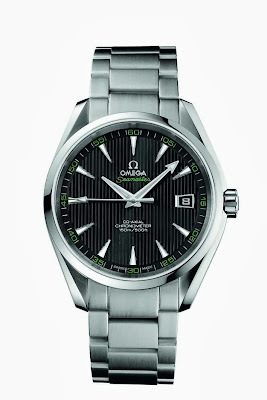 Tempus Fugit: OMEGA Seamaster Aqua Terra “Golf” sold for $20,000! OMEGA Seamaster Aqua Terra “Golf” sold for $20,000! Proceeds for the unique timepiece will be donated to The Rory Foundation. 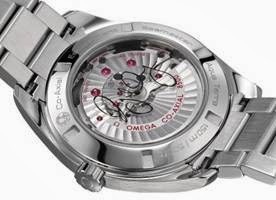 On August, 7, 2013, OMEGA and brand ambassador Rory McIlroy gave watch and golf fans around the world the opportunity to place their bids on a one-of-a-kind OMEGA Seamaster Aqua Terra “Golf” featuring the star golfer’s autograph metalized on the inner surface of the sapphire crystal case back. OMEGA is pleased to announce that the unique watch, along with its official certificate and presentation box, was sold to an anonymous bidder for $20,000! One hundred per cent of the proceeds will be donated to The Rory Foundation. The timepiece was presented at OMEGA’s hospitality tent at the PGA Championship in Rochester, New York held from 8 – 11 August. The Rory Foundation has been set up to support “children’s charities big and small around the world that try to give kids that helping hand.” Earlier this year, Rory McIlroy organised his first project for the foundation, the “Charity Bags Project.” For a number of tournaments during the 2013 season, Rory’s tour bag carried the name of a different children’s charity and, when possible, each charity was active in the community where the tournament took place. An auction was held for each custom-designed tour bag and the money from the successful bidder was donated directly to the charity featured on the bag. Furthermore, the Project created much needed awareness of each of the charities in their local community. Labels: OMEGA, Rory McIlroy, Seamster Aqua Terra "Golf"